Many of us will be heading abroad to race this summer, either to the Club Crew World Championships in Hungary, or the IBCPC in Italy. Whether this is your first international race or not, hopefully you will find these tips helpful as you head off on your travels soon. Best of luck to all teams competing this summer and I hope to see some of you in Hungary! The main framework of this list was originally generated by Jim Farintosh and shared with the paddlers at his Bow Wave Clinic in April. With Jim’s permission, I have adapted it here for the blog and have added to it a bit as well. 1. Practice in all conditions and seats. You may not be in control of this if your coach assigns you to a specific seat during practice, but the main message here is to be flexible and adaptable. If you are locked into seat 2 and suddenly your coach needs to shift the weight of the boat differently and now needs you in seat 6, will you be able to handle it? Similarly, if you are used to practicing on calm, serene waters and suddenly the wind has whipped up some serious waves on the race course, will you still be able to execute your technique as if nothing had changed? Those of you who raced in Ravenna in 2014 will remember the conditions on the first day of racing. We raced the 2k on a course with insane wind and whitecaps. To make the racing safer, the organizers limited the amount of standard boat paddlers to 16 at the last minute. 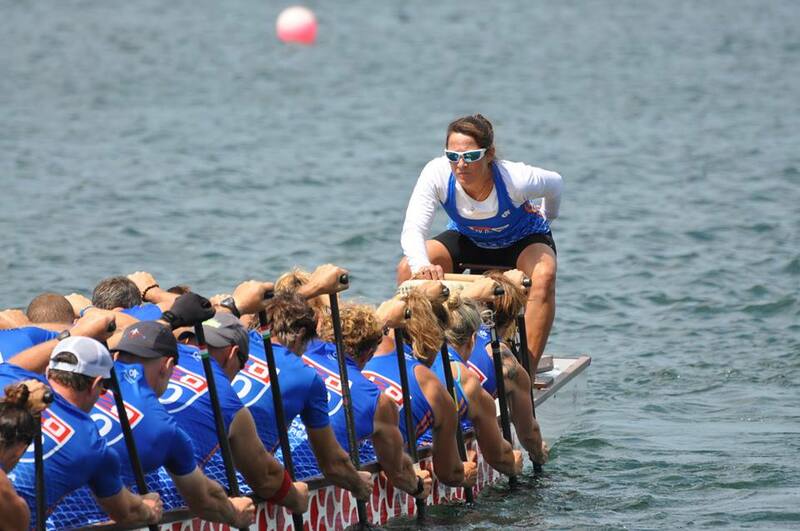 Coaches had to scramble to re-balance boats with four less people in them and paddlers had to adapt to severe weather conditions, all while trusting their steer to maintain control of the boat throughout the course. The takeaway message from that experience? Flexibility is paramount. 2. Build routines and practice them. What are your pre-race routines? What is your warm-up routine? Keep them the same as much as possible in order to give yourself one less thing to worry about when other unfamiliar things crop up. Consider how you feel when you find yourself in an unfamiliar situation. Your focus turns towards mitigating any discomfort you may be experiencing, whether it is in trying to find food that you recognize, or searching for someone who speaks your language. Unexpected situations are typical when you are in another country and can be stressful, particularly if you are not accustomed to foreign travel. So why not avoid adding to those stresses by establishing and maintaining routines that add familiarity to your day? Familiarity and comfort with a routine add to confidence and security. There will be many uncontrollable factors that are new to you when traveling internationally, so keeping as much as possible as familiar as possible will certainly benefit you while racing. Then after the races, you can take the time to appreciate the many things that are unique and new in the host country. 3. Deal with jet lag immediately. From the moment you arrive, work to build a pattern of activity to get you into your daily routine in order to adapt to the time difference right away. If you arrive in the morning, force yourself to adhere to your morning routines despite the fact that it might be the middle of the night back home and your body is screaming for you to go to sleep. No matter how tired you might be, resist the urge to sleep until the evening. Try to keep to a schedule that coincides with the local time, but make sure that you are getting enough sleep at night when you do go to bed. You definitely don’t want to be battling exhaustion from jet lag on your first day or two of racing. Sure, we’re all excited about visiting countries we may have never been to before. But before rushing off to see all the sites, remember your priorities and what you have traveled there for. Save the touring for after the races. Your teammates are counting on you to be at your best for each race. If you have spent your free time walking all over the city exploring and are now exhausted from the activity and the sun exposure, you aren’t benefitting your team one bit. You may be dying to see a specific site, but it is important to be mindful of the fact that 20+ other people on your team have spent their hard earned cash to travel abroad in order to compete. This isn’t about you as an individual. It’s about your team as a whole. Save the sightseeing for after the racing. Save the sightseeing for later. 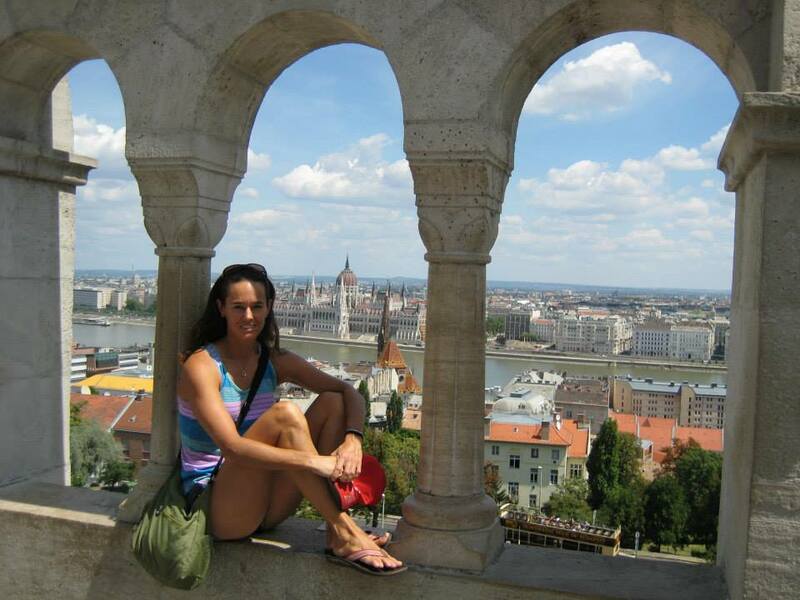 Here, I’m overlooking the Danube River in Budapest after Worlds, 2013. 5. Make smart food choices. I’m all for trying new things and I’m typically the first one to eat street food that I have no idea what it might possibly be. However, there is a time and a place for that. Be adventurous AFTER the racing is done. Beforehand, keep it simple, and keep it familiar. The last thing you want to experience during racing is an upset stomach from trying something new. Ask yourself: If I lost this, will I still be able to compete? Pack an extra jersey and paddling shorts into your carry-on luggage in case your luggage gets lost. Bring an extra pair of sunglasses, hat/headband, or whatever else you might need for racing. Having a back up gives you peace of mind that even if something is misplaced you won’t have to deal with the stress of trying to replace it. Also, it’s a good idea to copy documents and passports and give it to a buddy, or better yet take photos of the documents on your phone or scan them and then either email them to yourself or a friend or save them into an app such as Evernote. 7. Sweat the details and plan options. If you missed the team bus to the venue what would you do to get there? Be aware that in some cities it isn’t as easy as just grabbing a taxi on the street; instead you have to call a taxi to come get you. Depending on where you are staying that may or may not be easy. Be connected to your teammates. Figure out a “plan B” to ensure that you will be on time each day. I’m often a “fly-by-the-seat-of-my-pants” kind of person, but when it comes to international racing, I can’t afford to be. I’ve got my teammates counting on me to be on time and prepared. I make sure that I’ve got all the details of my day planned out, including what items I’m bringing on race day like food, electrolytes, a change of clothes, etc. When competing internationally, I need to plan far in advance in order to ensure I’ve got what I need. 8. ALWAYS plan extra time. At home, you may be the one who arrives just in the nick of time at a race, but when racing internationally you may encounter unpredicted obstacles which might cause you to be late. Don’t let that happen. Build in plenty of extra time to your schedule so that you can’t possibly risk being late. 20+ people are counting on you to be on time. Wouldn’t it be awful if your team had to go to “plan B” just because you weren’t prepared enough to get there on time? 9. Be friendly with local organizers and officials. Don’t forget that you are representing your hometown and country. Wouldn’t you rather have the local people thinking, “Wow! Those paddlers from _____________________ are so nice!” instead of the alternative? Thank the volunteers and the officials – it’s usually a long day in the sun (or worse, the rain) for them. The regatta wouldn’t happen if it weren’t for all of them, so take the time to show your appreciation. An expression of gratitude goes a long way. 10. Take a Break at Regular Intervals. Most of us aren’t accustomed to traveling with a large group of people and thus being around those people all day, every day for days on end. You may love your teammates, but it’s also important to have some time to yourself. At the race site, take a walk to get away from the group, if possible. A break can bring you back into engagement and renew your energy. Of course it should go without saying that you need to take your breaks at appropriate times; don’t run off right before your coach holds a team meeting or as your team is beginning their warmup. And it’s a good idea to let your coach or captain know before you leave the team area in case anyone needs to find you. When traveling abroad, so many things are new and different which makes it easy to lose focus. Don’t forget why you are there. No matter where you are racing, if it’s an international race you have spent a lot of money and have likely traveled quite a distance to get there. Don’t let the novelty of the travel interfere with the purpose. Your team is counting on you. 12. Commit to your best effort for the whole event. As exciting as international travel is, it’s important to be in the moment during the races. Don’t start thinking about your post-race excursions before you’ve even finished the competition. You have trained hard for this event. Keep your focus there for the entire time. And trust me, before you know it, it will all be over. It’s hard to believe, but in the blink of an eye the closing ceremonies are taking place. So, for the short time that you are competing, commit to giving your team 100% of your effort. 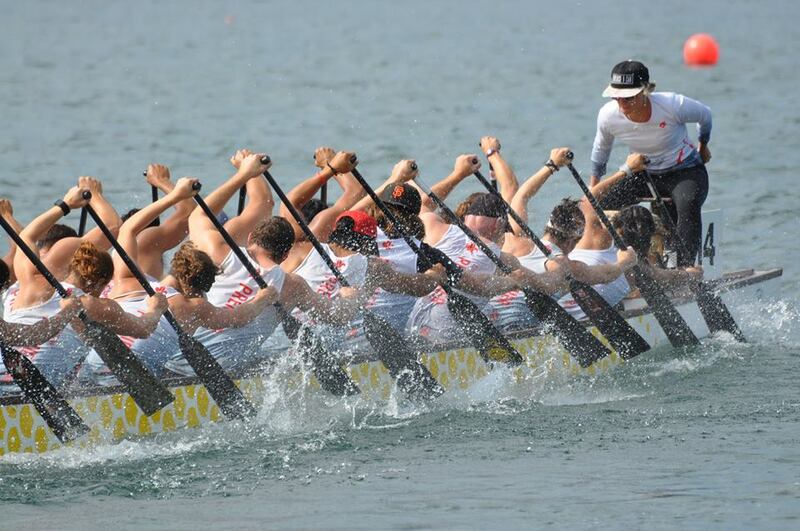 While it’s essential to see your competition as your rival on the water, keep in mind that if it weren’t for the other teams in your division, you wouldn’t have a race. Everyone has been training hard for this moment. Respect the fact that your competitors have been working as hard as you have leading up to this. 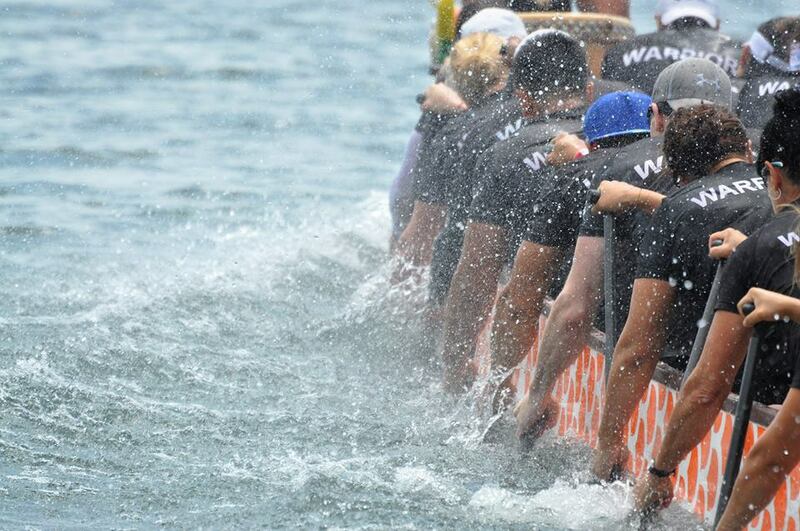 It’s OK to be fierce competitors on the water, but be friendly otherwise. If you are traveling to Hungary or Italy to compete this summer, safe travels and best of luck! I wish you a fabulous trip abroad and hope that these tips help you and your teammates to have a successful experience. If you are in Hungary, I hope to see you there! This is fantastic advice!! thank you so much for posting this! Thanks, Patty! I’m so glad you’ve found it helpful.